Welcome to the 45th edition of the Carnival of Divided Government - The Special "Heavenly Signs and Portents" Edition. Today the skies are filled with mysterious signs, portents and omens. At exactly 12:17 AM PST this morning, The Dividist witnessed a total eclipse of the moon. Or, he would have if he was awake and the skies were clear in San Francisco. Neither of which happened to be true. Then, at precisely 3:38 PM PST, 12-21-2010, the earth leaned a maximum 23 degrees off of its orbital plane, and then started leaning back. At that precise moment this post emerged over the blogospheric horizon and we in the northern hemisphere begin to observe the return of the light. It is the winter solstice, the darkest and shortest day of the year. Yet in that darkness there is hope, as the calendar is pregnant with the promise of spring and the shining light of a new divided government just over the horizon. As explained in earlier editions, we have adopted Latin ordinal numeration to impart a patina of gravitas reflecting the historical importance of the series. In this the Carnival of Divided Government Quîndecim et Quadrâgintâ (XLV), as in all of the CODGOV editions, we select volunteers and draftees from the blogosphere and main stream media writing on the single topic of government divided between the major parties (leaving it to the reader to sort out volunteers from draftees). Consistent with this topic, the primary criteria for acceptance in the carnival is to explicitly use the words and/or concept of "divided government" in submitted posts. A criteria that, to our endless befuddlement, is ignored by many of the bloggers submitting posts, which sadly results in The Dividist reluctantly ignoring their fine submissions. Among the on-topic posts, essays and articles we choose our top ten favorites for commentary and consideration. We hope you enjoy these selections, and we hope you are looking forward to a noisy, fractious, and bickering divided federal government, just the way the founders intended. Ken Fisher, a Forbes columnist and blog favorite (and one of the few market soothsayers that the Dividist will actually pay attention to) writes about the meaning of our shiny new divided government in his latest column "Gridlock is good for stocks:"
"We haven't had a negative stock market return in either the 6 or 12 months following a midterm election since World War II. It's typically a time when the volume of political noise gets ratcheted down from the blaring levels of the midterm election year. Look forward to the gridlock of the coming year, because little gets accomplished. If you hate politicians as much as I do you'll find this quiet marvelous. Markets do!" While the Dividist agrees that gridlock is good, and hopes Ken is right about the market outlook in 2011, he wonders about the paroxysm of legislative productivity we are witnessing in these moments of lame duck One Party Democratic rule. In particular the much heralded bipartisan tax cut legislation. An Ocala.com editorial aptly presents the central dilemma of this particular legislation in "The American Way:"
"The tax bill approved by Congress and signed Friday by President Barack Obama is emblematic — and symptomatic — of politics in America. It is the product of a divided government, a reflection of a politically divided nation. No one is satisfied with the bill or happy about the outcome, even those Democrats and Republicans who voted for it. We're not the first to note that this bipartisan agreement to increase the deficit was reached following national elections in which candidates and voters called for fiscal restraint and responsibility. But the irony is inescapable... The agreement, while politically pragmatic, is emblematic of the nation and its inability to agree on the ultimate compromise: reducing unnecessary spending and increasing revenue through taxation in order to reduce the federal budget deficit and manage the public debt at sustainable levels of the gross domestic product... For all the rhetoric about fiscal responsibility, Americans and their representatives appear to want their tax cuts and their spending, too." Yeah... I'm not sure how an election result showing the public's concern about spending and deficits wound up stimulating a bill that increased both. But to pick a nit in an otherwise fine Ocala editorial. The tax cut extension was a not a product of divided government. It was a product of a lame duck One Party Democratic government in a bipartisan legislative panic about the divided government to come a few weeks hence. What happens to the bloated omnibus spending bill that failed last week in the hands of the soon to be Republican controlled House will be a more accurate reflection of the product of divided government. Jonathan Singer quotes the New York Times while blogging at Polising and asserts that conventional wisdom on Divided Government gets it all wrong in "So Much for Divided Government Leading to Lower Deficits:"
"The New York Times writes this morning that the $858 billion tax cut deal brokered by President Obama and Congressional Republicans is "the first concrete product of a new era of divided government and acid compromise." The interesting part of this statement is that it runs completely against the grain of common wisdom, forged during the 1980s and 1990s, that the best way to ensure fiscal responsibility is to have divided government. It turns out, at least in this instance, that divided government (or here, the impending prospect of it) is freeing up both parties to spend more at will, to blow up the deficit, as it were. " Yeah... No. Actually the New York Times got it completely wrong. What the NYT and Jonathan completely overlook is that we remain under a unified government today with the Democrats in control of the White House and with huge majorities in both legislative houses of Congress. We will not have divided government until the the new Republican majority in the House is seated in January. The lame duck tax compromise legislation that Obama signed was passed under unified Democratic Party control. That is the way political scientists track legislation, by who is in power when the legislation is passed and signed. If fact, the 111th united Congress just made it "fall of a log" easy for the 112th divided congress to prove conventional wisdom correct by showing dramatic deficit reduction and spending restraint in comparison to the wildly irresponsible 111th. Andrew Oh-Willeke, blogging at Wash Park Prophet is reading the signs and is not optimistic about what he is seeing in "The Lame Duck Session Legislative Frenzy:"
"As we head into a period of divided government, the Republicans have a mostly fiscal agenda that is mathematically impossible and a visceral opposition to anything proposed by the President or any Democrat regardless of its policy merits, while the Democrats simply don't have much of a plan, period despite being in a state of remarkable ideological consensus within the legislative party, due to the defeat of many Congressional Blue Dog Democrats, including both of the Blue Dogs from Colorado. It is hard to see much on the legislative horizon but gridlock, and we will be lucky if there is enough consensus to even pass the appropriations bills necessary to keep the government running in 2011 and 2012." Andrew seem to have a fundamental misunderstanding about how and why bipartisan compromise is reached on capital hill. Meaningful compromise is impossible when one party controls all the levers of power as we have seen for the last two years. Why should a party in control of the executive branch and with large majorities in both legislative branches ever compromise in a meaningful way? It defies common sense. We can only get true bipartisan cooperation when there is no choice and both parties have a seat at the divided government table. Andrew may not like the result of bipartisan compromise - heck, I generally don't like the results of bipartisan compromise - but we' are likely to see plenty of it over the next two years. John Hohman and James Harris at Politico file a report explaining how Obama can upgrade his presidency under the impending divided government in "President Obama 2.0 - Becoming CEO of America:"
“President Obama has a similar opportunity: to be the one who explains, who articulates what that common ground really is, securing the place where I think most Americans, especially the independents, want him to be while preserving and protecting as much as he wants to around his core agenda,” said Don Baer, a top adviser to Clinton during that period. The Obama crowd may not like being pointed to the Clinton example. “They’re almost psychotic about not being Clinton,” said one person close to Obama and his staff. Many Obama aides believe the 42nd president practiced a small-minded, defensive brand of politics, though some acknowledge that their own recent setbacks have given them a new appreciation of Clinton’s survival skills." Brian Friel at Congress.org quotes the new Republican senator from Illinois to give us some insight into our future divided government and find additional hints from the leaders schedules as "Calendar shows divided Congress:"
What if Obama does not want to use GWB as a model any more than he wants to emulate Bill Clinton. How about Dwight Eisenhower? In the final speech, delivered from the Oval Office, that section became even blander. Eisenhower said that he and Congress became "mutually interdependent during these past eight years," and "in this final relationship, the Congress and the Administration have, on most vital issues, cooperated well, to serve the good rather than mere partisanship, and so have assured that the business of the nation should go forward." HAL 10000 blogging at Right-Thinking for the Left Coast is a member in good standing of the Coalition of the Divided, and is politically (as well as geographically) aligned with the Dividist's thinking as clearly demonstrated in "The Crown Prince of MSNBC:"
"In the end, I hope that Obama is smarter than his base. Deficit reduction is critical ... we can’t wait for a Republican President to do it (even assuming a Republican President would, which is dubious at best). By breaking from his base and earning the wrath of crazy liberals like Olbermann, he’s improving his standing among conservatives and independents. If he and the Republicans can get the economy going and reduce the debt by 2012, he’s almost certain to be re-elected. (This being a prospect I can handle so long as Congress remains Republican. 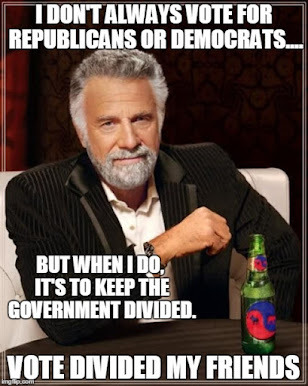 I love divided government." Me too, Hal. And close the pod bay door please. There is a partisan breeze in here. 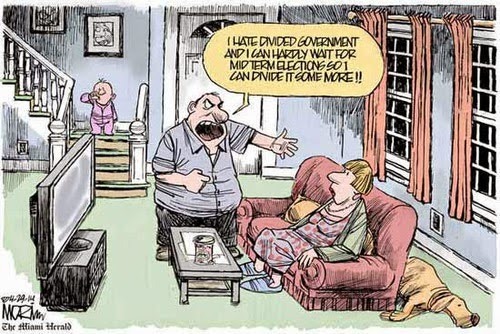 The Dividist is always on the lookout for new scholarship on divided government. Peter Calcagno author and blogger at Market Process has co-authored a paper examining the conditions leading to voters embracing divided government in state governments entitled "Divided We Vote:"
"Divided government is known to correlate with limited government, but less is understood about the empirical conditions that lead to divided government. This paper estimates the determinants of continuous and categorical measures of divided government in an empirical macro political economy model using 30 years of data from the American states. Voters support more divided government after increased government spending per dollar of tax revenues, but more unified government after worsening incomes and unemployment rates. Only conditional support is found for the strategic-moderating theory (Alesina and Rosenthal 1996) that focuses purely on midterm cycles and split-ticket voting absent economic conditions." Interesting work because it focuses on why people vote for divided government, as opposed to the usual scholarship that focuses on the policy consequences. The Dividist will be adding this work to the sidebar. Indeed, behind the posturing, a deal linking Start ratification, the extension of unemployment benefits and the temporary extension of the Bush tax cuts for all could be in the offing. It will not happen by itself: Mr Obama will have to press. But if a bargain could be struck, it would be a good beginning – especially if it encouraged the president to explore what a more forceful triangulation strategy might achieve from now on. And I am not just talking about re-election in 2012." Given what has actually transpired since Mr. Crook wrote this column, perhaps he would find our divided government considerably less worrisome if he would just read his own columns. Charlie, blogging at I Street Mess, invokes some dour prognostications in The Economist, then swims against the conventional wisdom tide, striking a note of optimism in "Divided Government 2.0:"
"It is easy to predict that the blame game of the past four years will continue. Indeed, such arguments may carry more weight now that each party can point to the other's majority as the problem. But this will not stand long, on Capitol Hill or with the American public. It will not be politically profitable for either side to completely scuttle the 112th Congress. Exactly. The surprise is not that we are seeing real bipartisanship in the looming shadow of divided government, nor that we will see meaningful bipartisanship over the next two years of divided government. The surprise is that anyone would have expected any kind of meaningful bipartisanship to take place while the Democrats held all the cards over the last two years of One Party Rule. Duh. John Avlon, CNN contributor and founder of the embryonic No Labels wannabe "movement", is hoping that forced bipartisanship has another trick up it's sleeve with "A great START for Christmas:"
"This lame duck Congress has shown it can fly, passing a broad-based tax cut compromise by a wide margin despite opposition from the far right and far left. In an even more historically significant move, eight Republican senators joined Democrats to end the ban on gays and lesbians serving opening in the military, known as "don't ask, don't tell." It is a reminder that the divided government that we'll see next year does not need to mean gridlock. It's also a reminder of the strength of the political center." Certainly agree, but it's not like gridlock is necessarily a bad thing. It is certainly far preferable to bad legislation steamrolled through a united government like Obamacare and Porkulus. The Dividist is taking a close look at No Labels, and will have more to say about it in future posts. The first thing the Dividist wants to determine is that the organization is not simply a Unity08 redux. That said - the Dividist agrees that START passing this session is a good thing, and it looks like that is exactly what will happen. 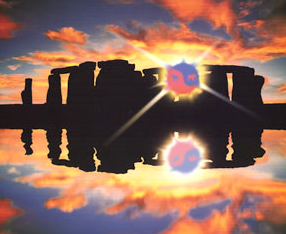 Happy Solstice! For this edition, we again present Madeleine Begun Kane presents "Premature Concession Syndrome -- A Remedial Limerick" posted at Mad Kane's Political Madness who, like many Progressives, is struggling to understand the concept of bipartisanship and compromise. As someone once said. Elections have consequences. 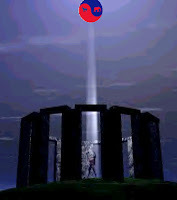 Oh well - Happy Solstice Madeleine! And a very Merry Divided Government new year! Admin presents "Carnival of Weath" at Personal Dvidends. Andrew presents "CoTVing into New Vegas" at Dodgeblogium. Rich presents the "Best of Money Carnival #79" at Life Compass Blog. Arbiter Iudicum presents the Skeptical Political Inquiry" at Ruseweek. Look for the next edition of The Carnival of Divided Government Sêdecim et Quadrâgintâ (XLVI) - Special National Dividist® Day of Celebration Edition - to commemorate the restoration of divided government as the 112thCongress is seated on or about January 3, 2010. Submit your blog article at carnival of divided government using our carnival submission form.